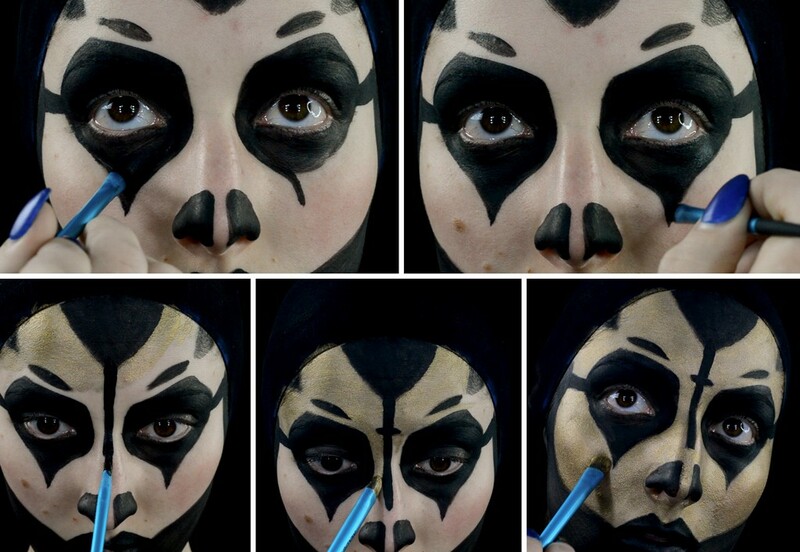 WWE fans know the wig, the robe, and – most importantly – the facepaint. 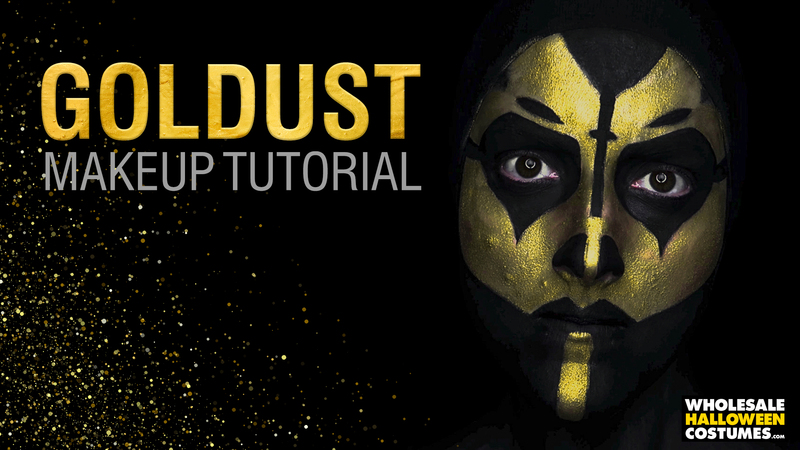 The sensual and sensational wrestler that is Goldust has claimed popularity in the ring since the early 1990s. Hailing from the deepest, darkest corner of his mind, the flamboyant and enigmatic Dustin Runnels has captivated crowds for years. Still popular even now, Goldust has some of the most incredible facepaint in the game, right up there with Finn Balor and Sting. The thing that separates Goldust from his contemporaries (besides his love for parody – mimicking celebrities and fellow wrestlers in the early days) is his obvious love of everything gold. His appearance and gimmicks in the ring have made his facepaint and skin-tight suit into something larger than life, and synonymous with his “freaky” in-ring persona. Now, thanks to the work of our friend Caitlyn Kreklewich, you can don the facepaint of the 20-time champion and WWE legend. Step into the skin suit and start practicing your Shattered Dreams/Golden Globes finishers! Start the look by painting black makeup over the upper and lower lid of each eye leaving yourself with two black eyes. Drop a widow’s peak shape down the center of your forehead. Paint two black triangles on the upper lip, like little fox ears. Drop a black line down to the cheekbone from each temple. Cut the line across the cheek to the corner of the mouth. Start filling in below the lips. But leave a thin line unpainted down the center of your chin. Fill in the rest of the jawline with black. Use two coats for even coverage. Add two more small triangles to the forehead about midway between the temple and the center of the forehead along the hairline. Law down a bold black line that connects the outer corner of the eye to the hairline. Now to tidy up the eyes. 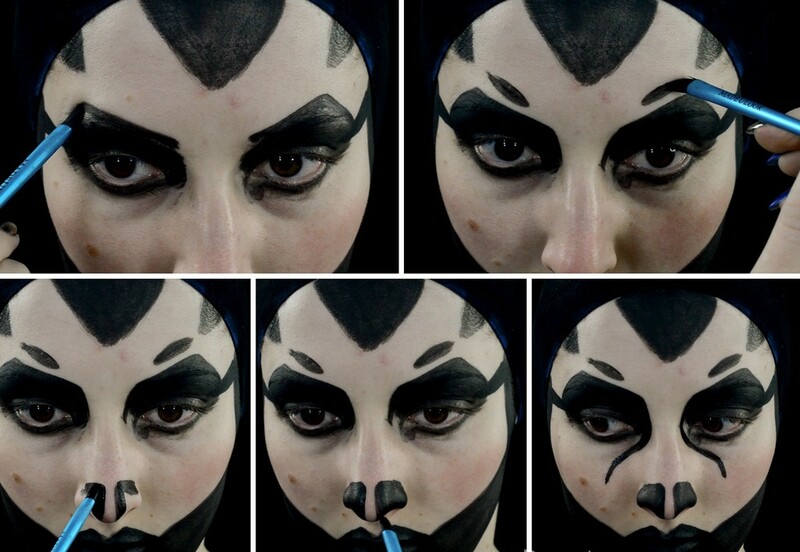 Using a thin brush add an arched brow to the black ring around the eyes and fill with black. Paint a small dash above each eye sort of like an eyebrow. Paint black onto the sides of the nose covering the nostrils but leave a stripe unpainted on the center of the tip of the nose. 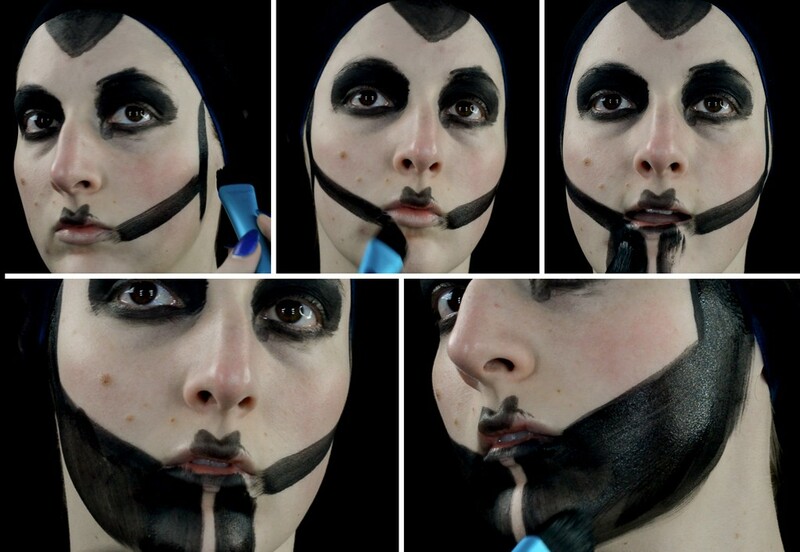 Carefully paint a thin black line under either eye down from the tear duct that curves to the center of each cheek. Draw another thin line from the outer corner of the eye that connects to the line on the cheek to form a point under the eye. Pull a black line down the center of the bridge of the nose stopping before the nostrils. Cross the line with a small dash just between the eyebrows. Add another coat of black wherever the coverage looks thin. Finally, cover the remaining skin with gold makeup being careful with the edges. Add a few coats to make sure you are fully covered. Touch up any messy edges. Cover the neck in black makeup then throw on your skin suit and step into the ring!